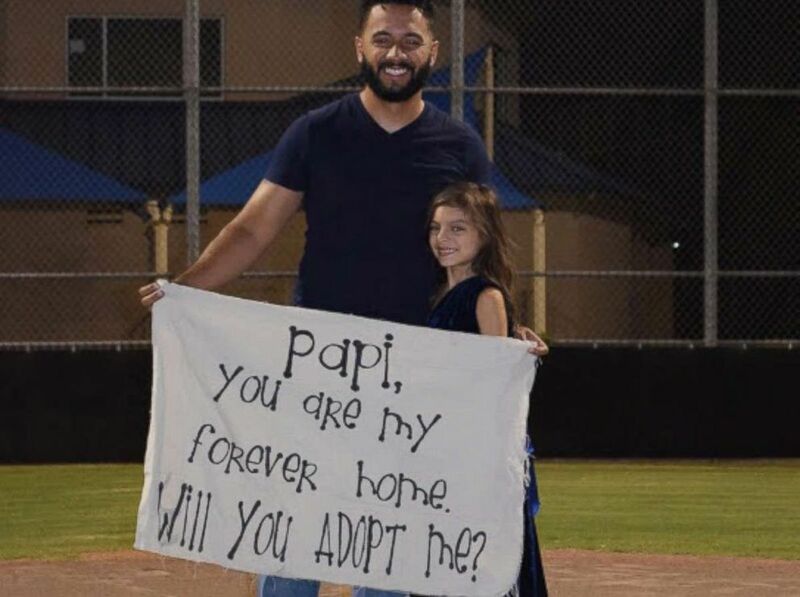 A little girl took her stepfather by surprise when she asked to him adopt her in the sweetest way. Leonardo Avila stood on a pitcher's mound at a baseball field in Alabaster, Alabama on Sept. 21. 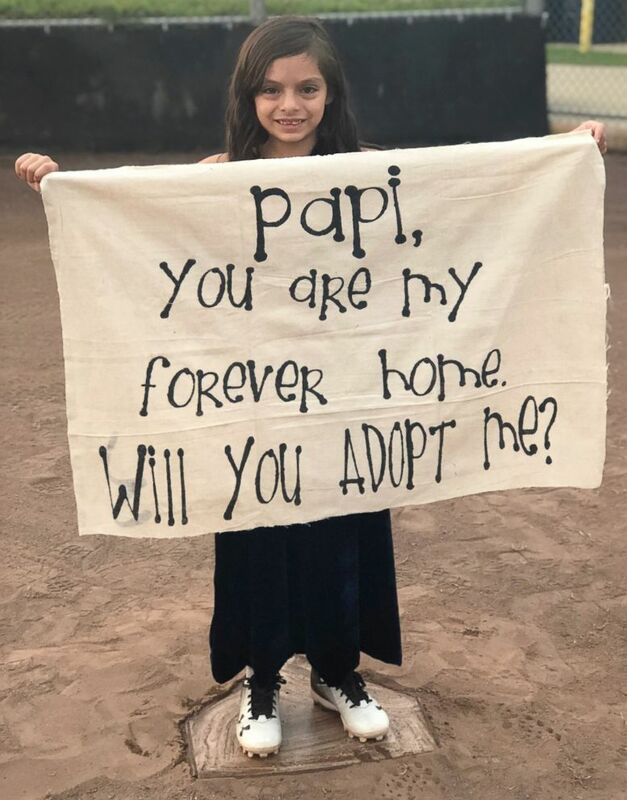 When he opened his eyes, his stepdaughter Alessandra was holding a sign that read, "Papi, you are my forever home. Will you adopt me?" 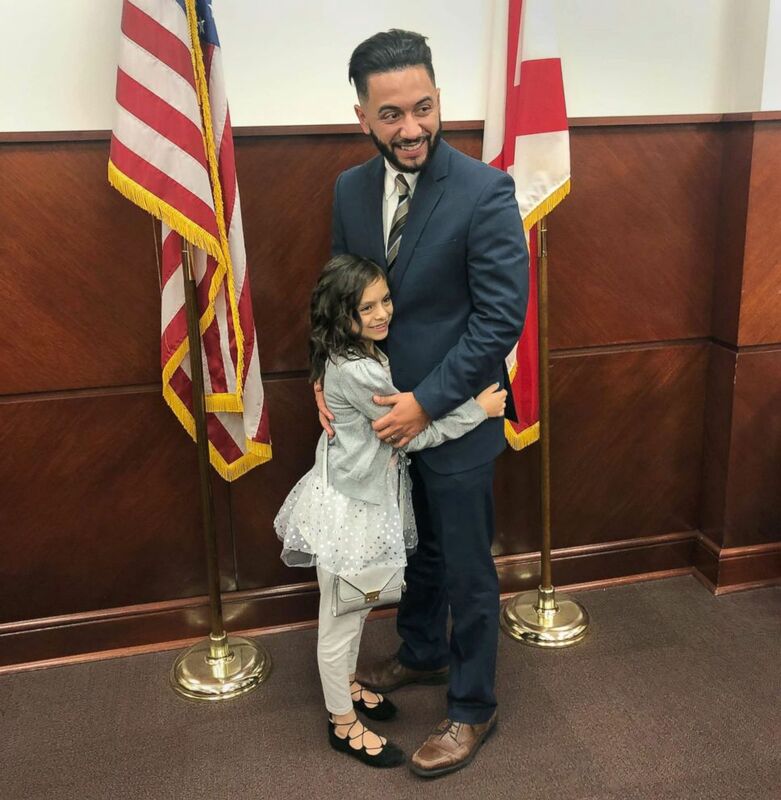 Leonardo Avila of Alabaster, Alabama, married Alessandra's mom Angela Avila in 2012 and has been in her daughter's life since she was a baby. "To know that was her decision that she wasn't pressured, that it was something that she wanted, my emotions came over me," Avila told "Good Morning America." "To know I made this type of impact to her life that she wants my last name, it was an amazing moment and definitely something I'm going to cherish for the rest of my life." 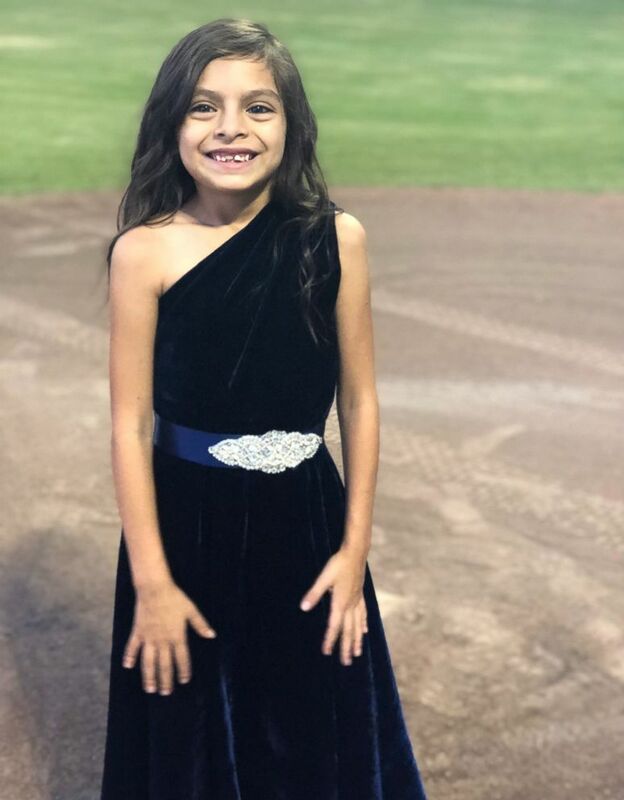 Alessandra Avila, 8, took her stepfather Leonardo Avila by surprise when she asked to him adopt her in a heartwarming video. Avila married Alessandra's mom, Angela Avila, in 2012, and has been in Alessandra's life since she was a baby. With her mother's help, Alessandra made a plan to ask Avila to adopt her. They decided a baseball field would be the perfect place to "pop the question" since Avila and Alessandra bonded over the sport. Alessandra wore a pretty dress and baseball cleats for the occasion. Leonardo Avila stood on a pitcher's mound at a baseball field in Alabaster, Alabama on Sept. 21. When he opened his eyes, his stepdaughter Alessandra was holding a sign asking him to make her his own. "I told her, 'I absolutely 100 percent will [adopt you],'" Avila said. "I told her I care about her and she means the world to me. I hope I could keep showing her an example of what a good father is and later on down the road, what a good husband is supposed to be." (It's) something I'm going to cherish for the rest of my life. On Jan. 10, Leonardo Avila adopted Alessandra Avila, 8. Avila married his daughter's mother in 2012. On Jan. 10, Alessandra took Avila's last name. "After all is said and done, I feel she has made the best decision and I'm proud of her," Angela Avila told "GMA."